The whole Greineman clan has been in the shadows ever since you-know-who made him persona non-grata. He was a young 40-something talmid chochom who defied the establishment and told them to vote for a Charedi mayor in Bnei Beraq, not a מזרחי'ניק. After that he also didn't join the attempted lynching (for lack of a better term) of Rav Moshe Landa. So he was באזייטיגט - as they say in Yiddish, and the only way you heard about him was if you made it your business to get to know him. For those of us in חו"ל you didn't see much of him. You may have known a bit about the politics, but not much more. So I was kinda surprised about the unusual בכיות and what looked like quite sincere pain and crying at the levaya. A lot more than what you usually see. Not the standard R' Shmuel Auerbach funeral grimace, but pain and hurt. So I asked around and found that I wasn't the only one who saw it as such. 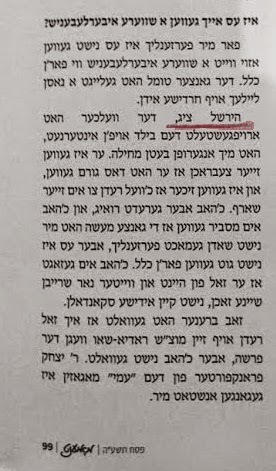 Apparently the "hiskashrus" that his talmidim had to him was quite strong. Like nothing we ever see in those circles. They outdo chassidim in that sense. So much so that after יציאת נשמה one of the talmidim cried out: העולם נגמר! Reb Chaim left 12 sons. A little less scary looking at the בית הקברות but still very impressive. Like, if I would go away and N E V E R write again.... M O S T of you - even those who say they've been loyal readers from Day 1 - wouldn't skip a beat. Just saying. Busy season is over for me, so I figured you'd be banging the doors down asking for new סחורה. After all, it's almost three months that the posts haven't been coming down on a regular basis. The site where Weinberger and Streit was launched. Rabbi Moshe Weinberger was Rov in Beis Medrish Hagodol Anshei Ungarin and was forced to leave his post as a result of having opened his bakery. 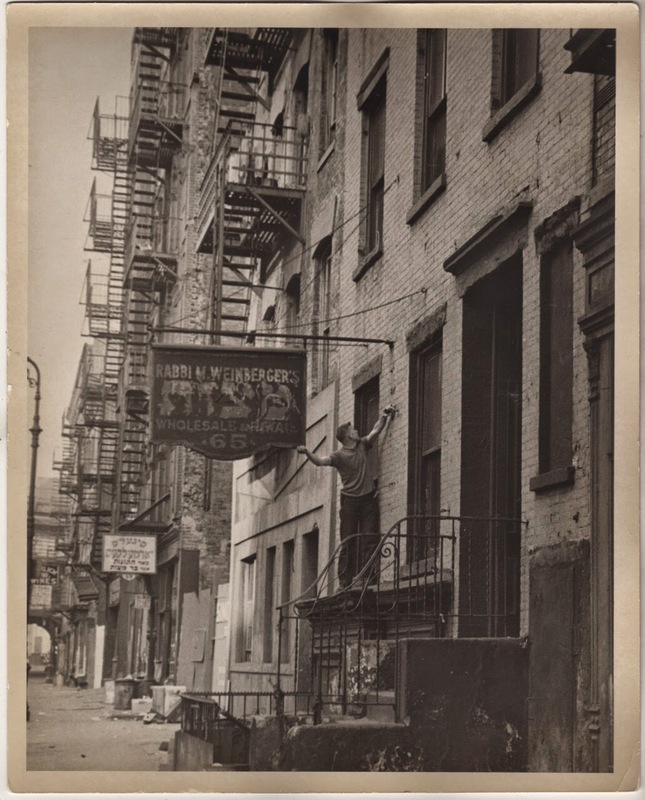 He continued baking hand shmurah matzoh at this location through the 1940s, well after his partner Aron Streit relocated to Rivington Street in 1925.